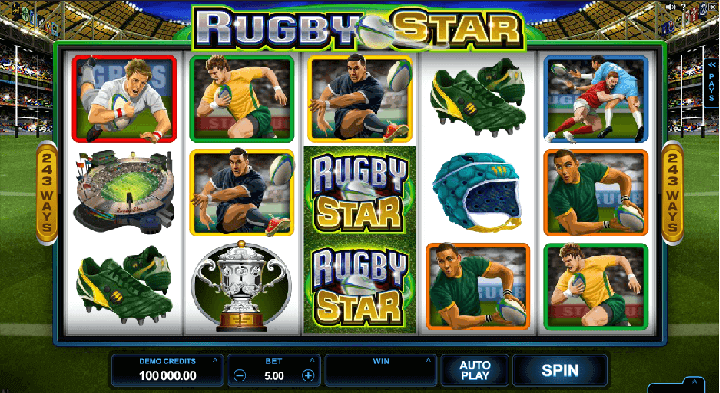 Rugby Star is powered by Microgaming and is 5 reel pokies game with 243 ways to win. You will love this game of football and find yourself as if sitting in the real stadium and watching Rugby World Cup. 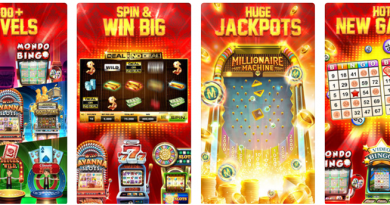 Playing this pokies game with your smartphone or Samsung mobile you will love the animated graphics with superb in play action of the theme of this game. As said above Rugby Star is online pokies game 5 X 3 reel with 243 ways to win. Rugby star is a non-progressive pokies packed with awesome features, including Rolling Reels and Multiplier Trail. It can be played for free or for real money and is available on all the leading platforms including Windows, Mac, iOS and Android. With the Quickfire software platform you can play this game at your PC, as well as the HTML5 platform, which is compatible with mobile devices. 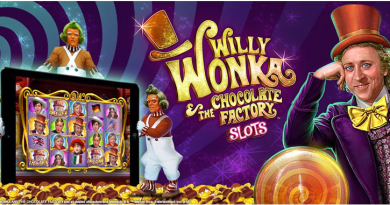 It is an exciting and rewarding online pokies games, offers so many free spins, a massive jackpot and lots of playing options with real money prize awards. Rugby Star offers 243 ways for winning with Rolling Reels. You can have cascading wins or follow stacks of maximum 40 wilds on the lowest 3 reels. As the winning symbols keep coming on your desktop or mobile screen, you will keep winning in the pokies games. You are able to get the most action from a single spin. The winning combinations are instantly paid and followed by new symbols that keep paying for your wins. In this feature, the winning combos in any spin get paid out first. The winning symbols are then hidden from across the reels and new ones take their place. The payouts keep increasing as the winning combos appear again. Thus, you can keep winning more and more. 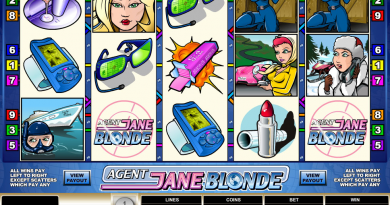 This feature is also available on free spins. But the free spins don’t get re-triggered. The game has star rugby players as its highest paying symbols. You will come across the top players in different rugby manoeuvres, such as tackling and passing. When you play pokies and these symbols come in the winning combinations, you will win big payouts and view the game moves in animated motion on the screen. The other lower-payout symbols include the Stadium, Helmet, Trophy and Boots. All of them are stacked on the last 3 reels. The betting on this game is designed to work as though there were fifty lines on the game. The bets can go from one to ten cents on each line. Just a $0.50 bet on the best pokies mobile game allows you to cover all the 243 ways, making it the lowest bet on a spin. Then the game allows betting up to 10 credits a line. You could also choose credit levels up to $0.50 that offers you max bet of $250. Click the spin button and get the reels go their way in this 243 ways and have your winning combinations set.